in Blythswood Square (one of the last remaining green spaces in the city centre). including marble fireplaces, wood paneling, ornate high ceilings. in The Scottish Hotel Awards 2010. Featured in Conde Nast's Hot List 2010. Restaurant and cocktail bar with high ceilings. which started from Blythswood Square in 1955). with stunning views over Blythswood Square. Choice of dining and afternoon teas. Facilities for weddings, conferences and meetings. a relaxing lounge and café area. bathrobes, hairdryer, MP3 compatible entertainment system, free movies. Penthouse suite with hot tub, private lift and terrace area. B&B from £57.50 per person. 5 star hotel in Glasgow city centre. Health Club with swimming pool, fitness centre, sauna, spa bath. Cocktail bar. 24-hour room service. Conference and banqueting facilities including a Grand Ballroom. Choice of 319 bedrooms including executive rooms. Room only rates from £57.50 per person. steam room, gym, beauty salon & spa treatments. Choice of 251 bedrooms including deluxe rooms and suites. All rooms have interactive TV, minibar, hairdryer, etc. Many with air-conditioning and views of the Castle. American style cocktail bar and grill. Formal restaurant for fine dining with panoramic views. of the former Caledonian Railway Station. Room only from £73 per person. One of Edinburgh's most famous hotels. Located on the elegant Charlotte Square. and within easy walking distance of the Royal Mile. Some rooms have views of Edinburgh Castle. Scottish Tourist Board 4 Stars. Restaurant with AA Rosette. Lounge and Whisky Bar. 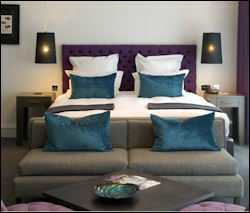 Room prices from £88 per person. Set in 20 acres of private gardens & woodlands. 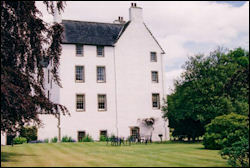 The hotel comprises a 16th century tower house, country manor & steading. Retaining its original character, it offers exclusivity and seclusion. Open fires. Public rooms include the Great Hall, Library and Old Drawing Room. Within easy reach of Edinburgh and Glasgow. Less than 10 miles from Edinburgh Airport. 7 miles from Linlithglow and its ancient palace. Close to Uphall Golf Course. and vaulted bar with lounge bar menu. sauna, steam room, gym and beauty treatment rooms. all with satellite TV, telephone, hairdryer, etc. chocolate, two half bottles of wine, bathrobes & slippers. 24-hour room service. Wi-Fi access. B&B prices from £35 per person. Child rates. Dogs welcome (extra charge). on the picturesque banks of the river Esk. 7 miles south of Edinburgh city. 14 miles from Edinburgh Airport. A warm Scottish welcome awaits. in the Scottish Hotel Awards. Award-winning Dungeon Restaurant (2 AA Rosettes). Falconry activities within the Castle grounds. Hydro spa with pool, Roman style sauna, Turkish style steam bath, etc. Wide choice of therapeutic and beauty treatments. all with telephone, satellite TV, radio, hairdryer, trouser press. tweed, tartan and twill, with period furniture, rugs and carpets. Robert the Bruce, William Wallace, Sir Walter Scott, etc. and some have a 4-poster bed. 24 hour room service. Non smoking throughout. B&B prices from £52 per person. Beautiful mansion house built in 1536. 5 minutes from Peebles in the Scottish Borders. Only 40 minutes from Edinburgh City Centre. with splendid views of the surrounding Moorfoot Hills. multi gym, sauna & spa bath. Restaurant, conservatory and courtyard garden. Full Scottish buffet style breakfast. Optional dinner (3 course table d'hote menu). satellite TV, telephone, trouser press, hairdryer, etc. All bedrooms are non smoking. Laundry service. Bicycle hire available. 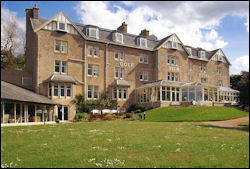 4 star hotel opened in 2008 after a major refurbishment. Scottish shipping magnate Lady McBrayne. Set in 3.5 acres of wooded grounds. Swimming pool, sauna, steam room, spa bath & gym. Numerous beauty treatments & therapies available. Restaurant. Rooftop lounge. Room service. Concierge service can arrange golf, fishing, etc. Real & Local Food Gold Medal in The Scottish Hotel Awards 2010. 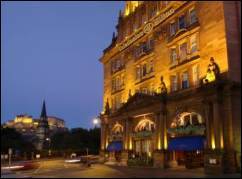 Romantic Hotel of the Year in The Scottish Hotel Awards 2014.
all with TV, telephone, free WiFi, toiletries, hairdryer, tea/coffee. Deluxe rooms include Champagne & Chocolates. Luxury Suite with separate lounge, Champagne & Chocolates. B&B prices from £69.50 per person (2 sharing). 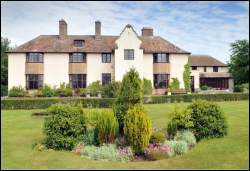 Elegant Edwardian country house hotel set on a private estate of 280 acres. 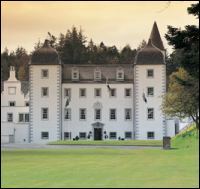 Originally built by the 7th Duke of Atholl as a summer home for his wife. 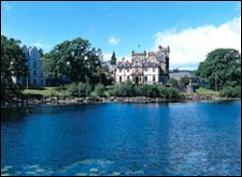 One the most luxurious resort hotels in Scotland. Features include wood paneling, stone fireplace and ornate furnishings. Panoramic views over the Tay Valley. Situated 12 miles north of Perth. 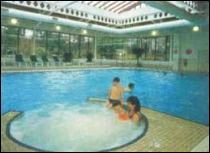 Health and Leisure Club with swimming pool, sauna, steam room and gym. all weather tennis courts, volleyball, croquet, 9 hole putting course. Garden Restaurant overlooking the River Tay. Bar lounge. Room service. WiFi. Choice of 150 bedrooms including deluxe rooms and suites. All rooms have TV, on-demand movies, hairdryer, trouser press. B&B prices from £50 per person. and once owned the family of Robert the Bruce. 10 minutes from Stirling. 15 miles from Falkirk. 30 minutes from Edinburgh and Glasgow. gym, spa, sauna, steam room, solarium. Aromatherapy and beauty treatments available. 2 restaurants and 2 bars. 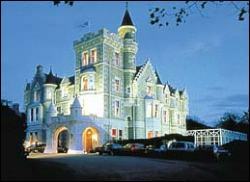 Choice of 125 bedrooms & suites in the Castle and Hotel. trouser press, hairdryer, refreshments, etc. 24 hour room service. Wi-Fi access. B&B prices from £40 per person. Dinner, B&B rates also available. Available for weddings, parties and corporate events. 8 hi-tech conference rooms for up to 400 people. 4 star deluxe contemporary hotel. Families welcome. 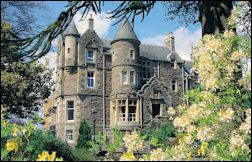 A short drive from Dundee Airport (daily flights to/from London). Only 13 miles from St Andrews. The Dundee Hotel of the Year 2007.
wide-screen satellite TV, CD/DVD player, work desk, dataport, armchair, mood lighting, bath, free-standing open plan power shower, toiletries, fresh coffee, iron, etc. Superior rooms and suites also include fridge and safe. sauna, steam room, Elemis treatment rooms, technogym, etc. Restaurant with 2 AA Rosettes. Brasserie. Room prices from £36 per night (room for 2 people). Exclusive 5 star hotel with deluxe accommodation & leisure facilities. 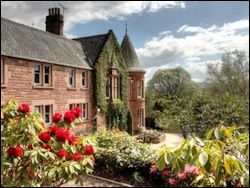 set on the shores of Loch Lomond in 100 acres of wooded parkland. 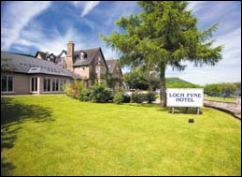 Conveniently located just 20 minutes from Glasgow Airport. fully equipped gym, squash courts and snooker room. 4x4 off road driving, clay pigeon shooting, fishing, hawking. Loch trips on the hotel's 46ft motor yacht. Children's playroom & activity club. Creche. 2 golf courses (9-hole and 18 hole). Choice of 3 restaurants with award-winning cuisine. Sky TV, Ipod docking station, trouser press, tea/coffee, etc. Dinner, B&B prices from £135 per person. Set in Inveraray overlooking Loch Fyne. Wonderful views across the loch to the Cowal Hills. A short stroll from the castle, town centre & golf course. outdoor hot tub, tanning cabin, health & beauty treatments. The AA Rosette restaurant menu features locally-caught seafood. Facilities for weddings and conferences. all with TV, telephone, hairdryer, trouser press, etc. B&B prices from £52.50 per person. Room only rates also available. Visited by Eisenhower and Winston Churchill. (close to the ferry terminal from Oban). Set in impressive gardens running down to the shore. the isle of Lismore and hills on the mainland). Wildlife guided tour can be arranged. Observatory lounge and whisky bar. Facilities for weddings and meetings. tanning room, nail bar, hair salon. Flowers, wine, chocolates can be ordered when booking. Disabled access. Pet friendly. No smoking. near the River Dee. 8 miles from Balmoral Castle. Oak panelled hallway and library. Elegant restaurant. Lounge bar with log fire. steam room, fitness suite, games room, snooker, squash, tennis courts. Children's adventure playground, activity club during school holidays. clock radio, tea/cofee. On-demand movies. Free WiFi. Deluxe bedrooms have a balcony with mountain views. Scottish Tourist Board 4 Star Hotel. 10 minutes drive from the centre of Aberdeen. Suitable for business guests, families and holidaymakers. Leisure Club with swimming pool, sauna, steam room, gym. 2 outdoor tennis courts and beauty salon. Full conference facilities and numerous function suites. including 8 luxury business bedrooms. hairdryer, iron, clock radio, tea/cofee. B&B from £84.50 per person. Set in 30 acres of parkland with magnificent views across the River Dee. Located 3 miles outside Aberdeen. beauty salons and tennis courts. Restaurant with AA red rosette. AA 4 stars. Lounge bar with bar meals. Whisky bar and drawing room with open fires. Carved staircases, fireplaces & wood panelling. telephone, hairdryer. 24-hour room service. Scottish Tourist Board 2 Stars. 50 foot swimming pool, gym, sauna, steam room and spa. B&B prices from £38.50 per person. overlooking the Moray Firth with gardens leading down to the seashore. 16 miles east of Inverness. steam room, sauna, spa bath, gym. Beauty Salon. Conservatory restaurant with sea views. AA Red Rosette. Suites available for conferences, weddings and private functions. toiletries, refreshment tray, trouser press and hairdryer. B&B prices from £47 per person. 3 star hotel on the outskirts of historic Elgin. In the heart of Malt Whisky Country. Ideal for golf, distilleries, walking, cycling, dolphin trips. Inverness 37 miles / Airport 30 miles. sauna, spa, gym, solarium and squash courts. Restaurant serving afternoon teas and dinner. Fine selection of Speyside malts. Conference facilities for 250 delegates. Choice of 53 bedrooms and suites. B&B prices from £44 per person (2 sharing). Set on the banks of the River Ness opposite Inverness Castle. Scottish Tourist Board 3 Stars. (single, twin, double, triple and family rooms). All with ensuite shower, TV, telephone, tea/coffee. 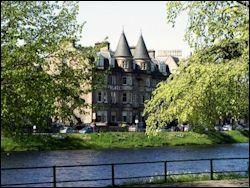 Executive rooms include river views, hairdryer, mineral water and shortbread. Stylish bar, restaurant and lounge area. 24 hour room service. Free car parking. Free Wi-Fi. Wheelchair access and lifts to all floors. including 50 foot pool, whirlpool bath, gym, sauna, steam room. 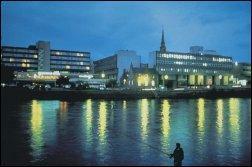 Modern hotel in the city centre overlooking the River Ness. with indoor pool, gym, sauna and spa bath. or enjoy a snack in the popular 'Arts' bar. Disabled access. Coach parking available. Facilities for conferences, private functions, weddings. direct dial telephone, hairdryer, trouser press, tea & coffee. 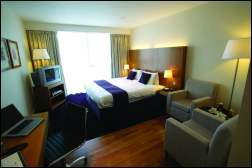 Executive rooms include desk, armchair with leg rest, iron, ironing board. 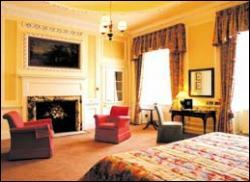 B&B from £32.50 per person per night. 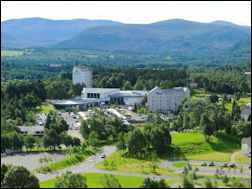 Family-friendly 3 star hotel with spectacular views of the Cairngorms. 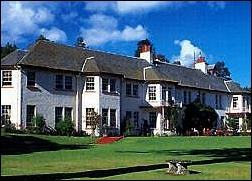 Part of the newly re-developed Macdonald Aviemore Highland Resort. with real wave machine, flume, sauna, steam room & techno gym. Spey Valley Championship Golf Course. Bar, restaurant and food court. CD player, telephone, hairdryer, tea/coffee. B&B from £40 per person. Scottish Tourist Board 4 Star Hotel. AA 4 Stars. Edwardian country house built by Sir Robert Lorimer. Antique furniture and log fires. Overlooking the River Brora. 100 metres from golf course. Ideal for golf, fishing, mountain biking, walking. 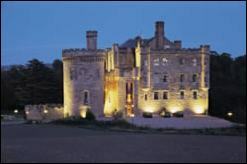 Visit Dunrobin Castle & Clynelish Distillery. 1 hour from Inverness (daily train service). of the 2007 HotelReviewScotland awards. 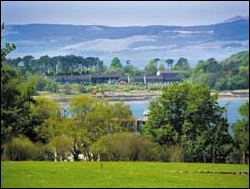 Scottish Golf Break Hotel of the Year 2006. Recommended by the Michelin Red Guide. Member of Scotland's Hotels of Distinction. Choice of 3 restaurants. AA Red Rosette. Facilities for conferences and weddings. spa, sauna, steam room, solarium & gym. Beauty treatments, massage and complementary therapies. Non residents welcome. Snooker room. 22 ensuite bedrooms with TV, toiletries, tea/coffee, mineral water. B&B prices from £55 per person.